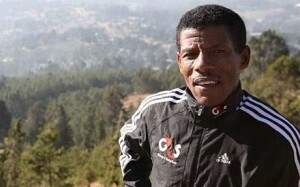 Haile Gebresilassie arguably the greatest long distance runner of all time has just announced his retirement. Haile who has trained very hard was clearly overcome with emotions during the press conference when announcing his retirement at the 2010 ING New York City marathon. He stated that he has not discussed the decision to retire with anyone else but himself. There is no one that knows Haile better than Haile himself however considering the time of the announcement, do you think this is it for Haile? Haile is a spacial one. He loves running. I am 100% sure that he will reconsider his decision and see him running again. We love you Haile.